They all have “that API sound,” but it’s important to choose the right tool for the job. We’ve mapped out the differences between these classic designs so you can make musical decisions about when to use which EQ. 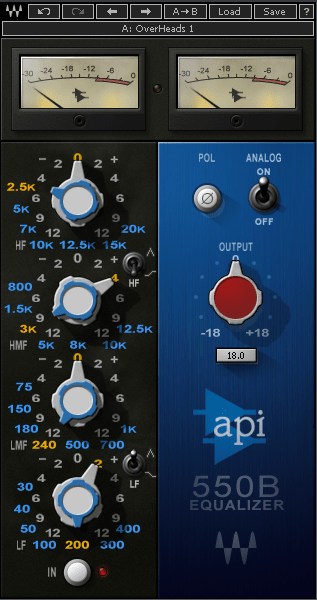 Before comparing these API EQ plugins, we need to explore what makes them stand out from conventional EQ designs. 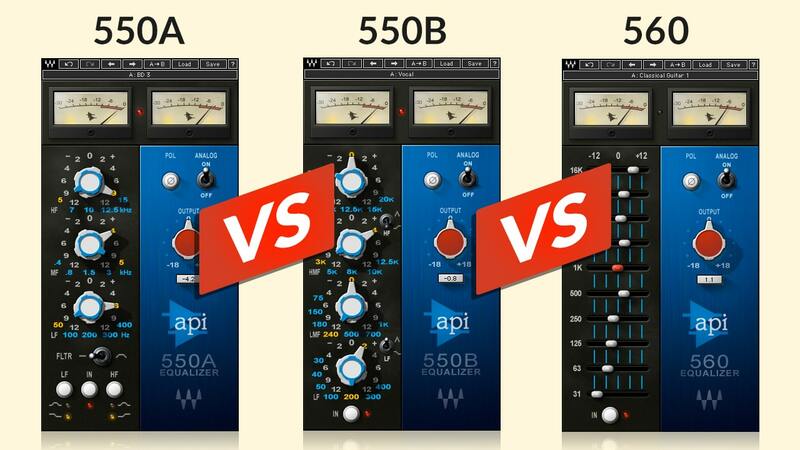 API EQs have long been considered “musical”—which is not exactly a technical term. However, the technology itself gives us some clues as to why they’re regarded as such. In the late 60s, API’s Saul Walker designed “proportional Q” circuitry, where resonance (Q) responds to gain. This means that the Q is widest at low gains and narrowest at high gains. This does indeed make musical sense: to do gentle tone shaping, you almost certainly don’t want high resonance. Conversely, if you want a more “forward” sound from your EQ, then a somewhat increased resonance provides that effect. When using EQ for cutting, the same holds true; while removing a problematic resonance with a deep cut, you’ll want a narrow Q. Subtler tone shaping, would generally call for a broader Q. In general, you’re able to push proportional Q-based EQs harder than conventional EQs because of how higher Q values focus the sound as you increase gain. If you compare these API EQs to a conventional EQ design with the same settings, you can easily hear what proportional Q does. At low gains, the results are similar. 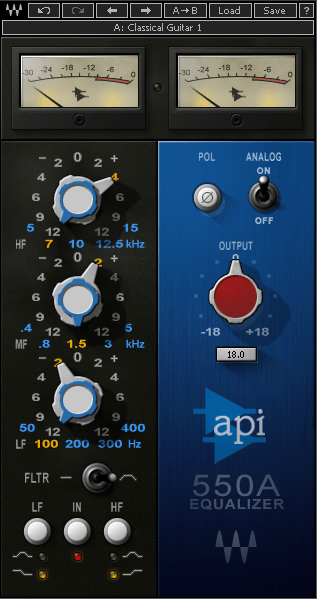 At higher gains, the API EQs sound more “aggressive,” because of the narrower Q values. Also note that although the Q setting changes, the filter’s skirt—the curve the filter follows as it falls back to flat response from the resonant peak or cut—reaches 0 dB at essentially the same frequency, regardless of the gain setting, whereas with the standard constant-Q design, the skirt becomes narrower at narrower Q values. So inherently, proportional EQ designs make the kind of changes we associate more with tonal and mixing choices, rather than problem-solving. Furthermore, the reciprocal, mirror-image boost/cut response of the proportional Q design makes it easy to “undo” settings. For example, if you found that there was too much of a boost at 1 kHz, cutting by an equal amount brings you back to where you started without any side effects. Also, when boosting/cutting multiple bands, the composite curve of the source remains relatively smooth (this is particularly noticeable with the API 560 graphic EQ). Because of this, the sound seems less prone to phase anomalies than conventional EQ designs. So, while these are “character” EQs, they may not color the sound as much as some other EQs designed to add character. The API 550A appeared earlier than the 550B, but they have many similarities. The 550A is a three-band EQ with frequency and boost/cut options. As mentioned, there’s no Q control, because the Q is inherent in the EQ design itself. Both have a ±18 dB master output control. The 550A has six additional switches: one converts the low band from bell response to a shelf, another does the same for the high band, while a third introduces a broad band-limit filter that reduces response below 50 Hz and above 15 kHz—ideal for working with vinyl. The other three switches handle EQ in/out, polarity, and “analog” on/off. The analog button imparts more of an analog sound even with the EQ zeroed out; while very subtle, with certain types of sounds you can tell whether or not it’s enabled. Note that switching EQ out while leaving analog on retains the analog effect. The stepped boost/cut controls cover ±12 dB, with 2 or 3 dB steps (boost or cut 2, 4, 6, 9, or 12 dB). Although it may seem like the lack of finer control could be limiting, in practice, given that the EQ is designed more for “character” than surgery, a difference of 1 or 2 dB isn’t that significant. The interaction of the Q with a boost/cut means that the change in Q makes more of an apparent difference than a dB change. Note that 400 Hz, the “mud” frequency, and 5 kHz, the “articulation” frequency, are duplicated on different bands. I find these two frequencies to be quite important, so it’s helpful that even if, for example, you want to make a 100 Hz boost in the low band, you can still do a 400 Hz cut in the mid band. The API 550B seems like the kind of product a company would create in response to users saying “yeah, I like the 550A, but it could really use four bands instead of three, and more frequency choices.” As with the 550A, the stepped boost/cut controls cover ±12 dB, with the same step amounts. However, the four bands have seven, not five, stepped frequencies, with one band sometimes “filling in the cracks” for a different band. Thus, the 550B can do the same kind of sweetening as the 550A, but delve further into problem-solving as well, thanks to the wider choice of frequencies in each band. One exception is the duplication at 10 and 12.5 kHz in the hi mid and high bands. The 16 and 20 kHz frequencies in the high band are not frequencies that are even audible to most people, however, remember that these filters are not a “point source” and their skirts extend down into the audible range. It’s easy to see that some people would want to use 16 or 20 kHz in the high band for “air,” while bringing up 10 or 12.5 kHz in the high mid band to bring out the “snap” in percussive instruments, or for lack a better term, “thicker” air to supplement the “thinner” air. Like the 550A, the 550B has polarity, in/out, and analog switches, and you can switch the response of the highest and lowest bands between a bell and shelf response. However, the 550B foregoes the 50 Hz – 15 kHz band-limit filter. The API 560 is a 10-band, graphic EQ with frequencies an octave apart, starting at 31 Hz up to 16 kHz. Again, the EQ topology features proportional Q (as well as the polarity and analog switches); however, the ±12 dB boost/cut controls are continuously-variable sliders, with 0.1 dB resolution. When Do I Use What? With 3 bands and 15 frequencies, the 550A is more of a candidate for sweetening and coloring, rather than problem-solving. Often, these frequencies and amount of available boost or cut deliver what’s needed, and there’s no need to look further. API’s EQs do have a distinctive punchy and focused sound, and with high gain settings, the narrower Q tends to focus the part, so it doesn’t conflict with other tracks. The 550B delivers the same kind of sweetening ability as the 550A, but because of its extra band and 28 potential frequencies, it’s the better choice of the two when your main concern is problem-solving along with, or instead of, sweetening. The downside of extra options is that it can take more time to dial in the precise sound you want, whereas with fewer options on the 550A, you might achieve a result you like more quickly. Generally, graphic EQs like the 560 are associated with live performance over studio work, as they allow the person doing sound to quickly grab a slider and tune the room, or fix an anomaly. Still, for signal sources like mic overheads, pianos, guitars, and other complex sound sources that simply need tone-shaping, the 560 makes it fast and easy. Also, if someone is tracking or monitoring themselves in headphones and wants a quick tonal change, this would be the ideal choice for making a fast adjustment and moving on without disrupting the session. It’s also worth noting that there are valid reasons to put a number of these EQs in series. For example, you might obtain the kind of sweetening you want with the 550A or 550B, but still want to do some broad, general tone-shaping. Follow the 550A or 550B with a 560, and you’ll be able to accomplish the desired result. Let’s consider when you would use the API EQs. Their main advantage over conventional, constant-Q designs, is that they can make parts sound more forward or aggressive without drawing excessive attention to themselves. This is because the resonance, though effective, is relatively gentle. For example, if you want to bring up particular frequency ranges of drum overheads, you can make them more prominent without them “sticking out” compared to the main drum sound. Similarly, you can cut the low-mids of the overheads to make more room for the drums, without leaving what sounds like a “hole” in the overheads’ response. If you really crank up the gain, you can definitely “push” any sound (snare, piano, brass, strings, etc.) harder in a mix, but even when pushed, there’s no obvious sharpness to the sound. With guitar—either electric through a cabinet, or acoustic—adding some gain at 3 or 5 kHz on an API increases articulation, but without contributing to the sharpness that often happens when boosting response in that range. There are also situations when you want to dip around 200, 300, or 400 Hz to tighten up the sound of some instruments, de-emphasizing the “mud” frequencies. You don’t require a narrow, “surgical” notch for this, rather a gentle de-emphasis. 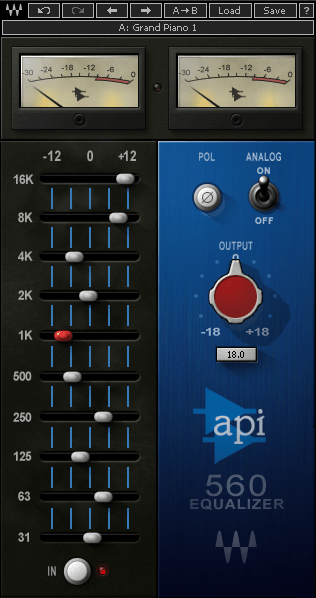 The API EQs are great for cutting part of the spectrum in one instrument to make room for other instruments. This may sound like the APIs have properties that are similar to the gentle tone-shaping qualities of Pultec-type EQs. However, while they can do gentle tone-shaping, a better description is that they “split the difference” between something like a Pultec, and a more aggressive, constant-Q parametric EQ. Of course, sometimes you do want surgical, problem-solving or salvaging-oriented EQs, but that’s not what the APIs are about. Instead, they let you make significant changes to a track while still sounding natural and musical. Want more on different EQ types? 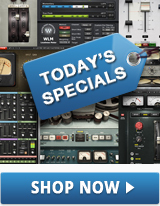 Read our vintage EQ plugin guide here.